Between breakfast and lunch last week in Morrisville — or was it Morristown? — I thought I should find out where I was. So I walked into the Morristown municipal offices on Portland Street for the official word. The building's Morristown designation offered a big hint, but it wasn't enough. Nearby street signs announced that I was in the historic district of Morrisville. Where are we? I asked in the town clerk's office. It must be a common query, because I was given a printed handout that explained Morrisville is a village within Morristown. I learned that the Lamoille County town of 5,200 people at one time encompassed two additional villages, Cadys Falls and Morristown Corners. Its current makeup includes two breweries — one that is solar-powered, Rock Art; and another that features an outdoor summer kitchen, Lost Nation. Two versions of Route 100 — the bypass and the original — pass through Morristown, as does the Lamoille Valley Rail Trail, which runs above its namesake river. In touring Morristown for breakfast, lunch and dinner, I ate at three restaurants. Each presented a distinct menu and ambience. What they have in common are the quality of their food, friendly and efficient service, and an easygoing vibe. The eateries also offer geographic diversity. My breakfast destination, Charlmont Restaurant and Pub, is at the roundabout where routes 100 and 15 meet. 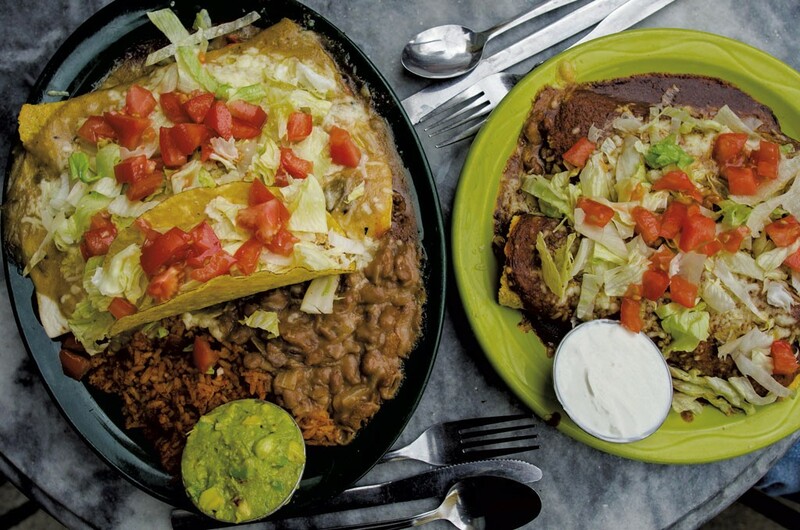 El Toro — for lunch and margaritas with a friend — occupies a brick storefront on lower Main Street in the heart of the village. Black Diamond Barbecue, where I had supper with my daughter, stands at a country crossroads in erstwhile Morristown Corners. "In Morrisville, in Lamoille County and in Vermont in general, people just want a nice restaurant to go to that has good food and good service," said Steve Benson, who is three years into his second stint as owner of the Charlmont. He first owned the restaurant from 1980 to 1998. Customers recognize him from the early years, Benson said, adding with a laugh that one gentleman spotted him and remarked, "What did you do, get a life sentence here?" He runs the restaurant these days with his son Kelby and said little has changed in terms of what people are looking for when they dine out. Most people want a restaurant meal that falls between fancy food and "something that's slopped on a plate," Benson said. If that's your criterion — and it happens to be mine — Morristown is the place for you. Later-morning breakfast eaters filled booths at the Charlmont, which opened in 1964, on the hot, hazy day I ate there. In one corner, a young girl dining with her family accepted an apology from her waitress for serving pancakes that resembled a bear and not the usual Mickey Mouse. The misshapen image, it seemed, was created by a night cook covering the morning shift. At the next table, a pair of musicians drank coffee and talked about gigs and guitars. Nearby, bikers traveling from the White Mountains to upstate New York chowed down before the last leg of their trip. Dining alone, I was offered a cup of coffee even before I sat down at my table by the front window. In a matter of moments, I was drinking a strong, hot mugful and scanning the menu. 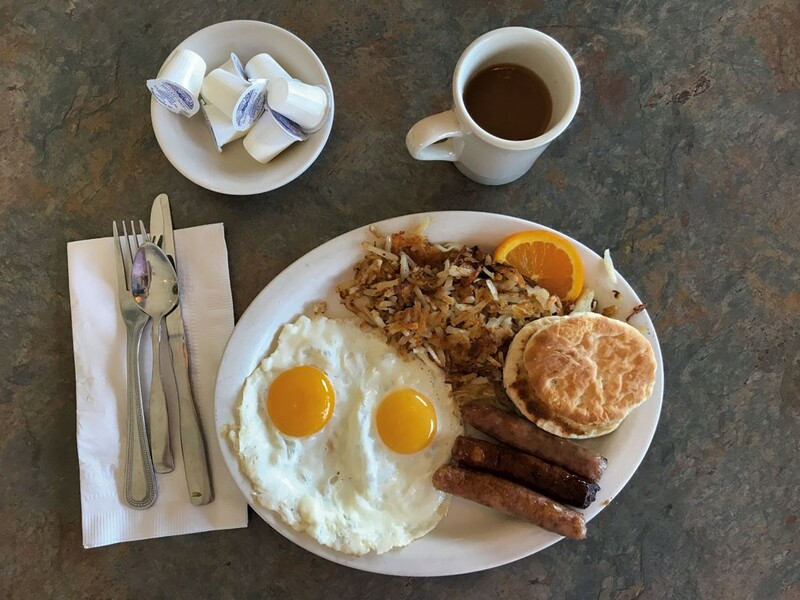 I chose the Charlmont Country Classic ($7.95), opting for sunny-side-up eggs, sausage links, a housemade biscuit and hash browns. Classic indeed and perfectly prepared: eggs with yolks aglow; crispy potatoes sweetened with sautéed onions; juicy sausages; and light, buttery biscuits. I washed it all down with a second cup of coffee. In the parking lot, I struck up a conversation with one of the bikers, who said he was headed home to Madrid, N.Y. Larry Dutton, riding a Harley-Davidson Tri Glide, told me that he and his friends had stopped at the Charlmont for lunch on their way to New Hampshire. They were so pleased with that meal, they came back for breakfast on their return trip. Dutton had biscuits with sausage and gravy and a side of corned-beef hash. "It's great service and great food," he said. "I love it." It was love at first sight (and sound) for me at El Toro, a Mexican restaurant in the heart of the village. A John Lennon song was playing on the jukebox by the front door when my friend and I showed up. A scattering of quarters, courtesy of the house, was on top of the music machine as if to say, "Help yourself." Lennon was singing "Watching the Wheels," a mellow serenade just right for our lunchtime activity: sitting at a marble-topped table in front of the restaurant, eating chips dunked in spicy red salsa, drinking $5 margaritas — the Wednesday special — and watching the passing scene. Before our meal came, I dropped some quarters in the jukebox and added Led Zeppelin and Bruce Springsteen to the playlist. I ate two quesadillas, a hearty bargain at $7. One was stuffed with housemade refried beans, the other filled with a wonderful mélange of zucchini, onion, corn and mushrooms. The corn tortillas were smothered in melted cheese and sauce and topped with chopped lettuce and tomato, a pleasing marriage of distinct flavors and textures. My meal was at once nourishing and indulgent and included small sides of sour cream and guacamole that my friend and I shared. When our lunch was complete, I felt so good I played one more song — corny, but it hit a sweet note that afternoon in Morrisville: John Denver's "Rocky Mountain High." The tune is an ode to the home state of El Toro owner Jennifer Isabell, who has brought Mexican fare from Colorado to northern Vermont. 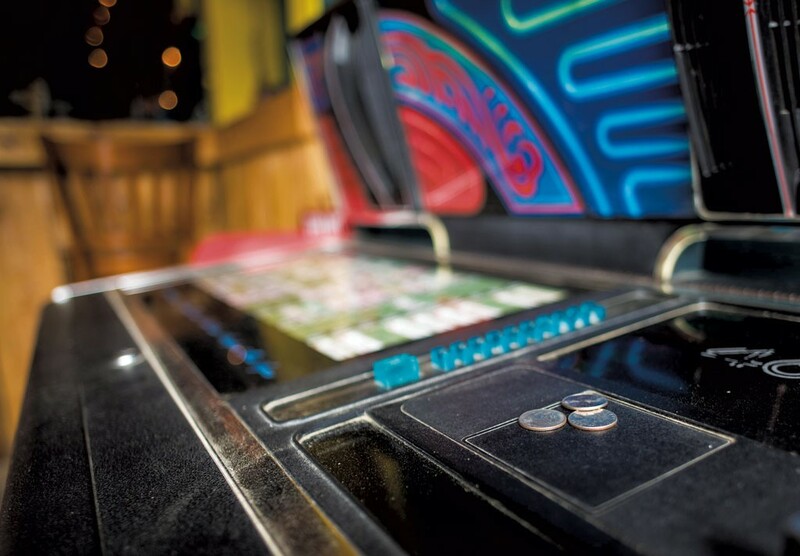 On weekend evenings, live music takes the place of jukebox tunes. A front porch made for hanging out, a big back lawn with picnic tables, Mount Elmore in the distance, and meat smokers in the side yard: These sights greet visitors to restaurant and roadhouse Black Diamond Barbeque. On the Friday night my daughter and I showed up, the barroom/dining area held half a dozen high-top tables, seven seats at the bar, a loud and happy crowd, and a friendly bartender in a Hill Farmstead T-shirt. Front-of-house manager and bartender Brian Krux mixed and delivered my luscious cocktail — his own Butterfly Effect, featuring Barr Hill gin and Pimm's No. 1 — and took our order. Things got serious quickly. My daughter removed her rings to prepare for fast, sticky eating and soon was wolfing down spicy chicken wings and snagging pickled vegetables from my barbecue tray. closed: Sun., Mon., Tues., Wed.
My pork ribs — seven fat ones — were slathered in smoky barbecue sauce made from 22 ingredients. 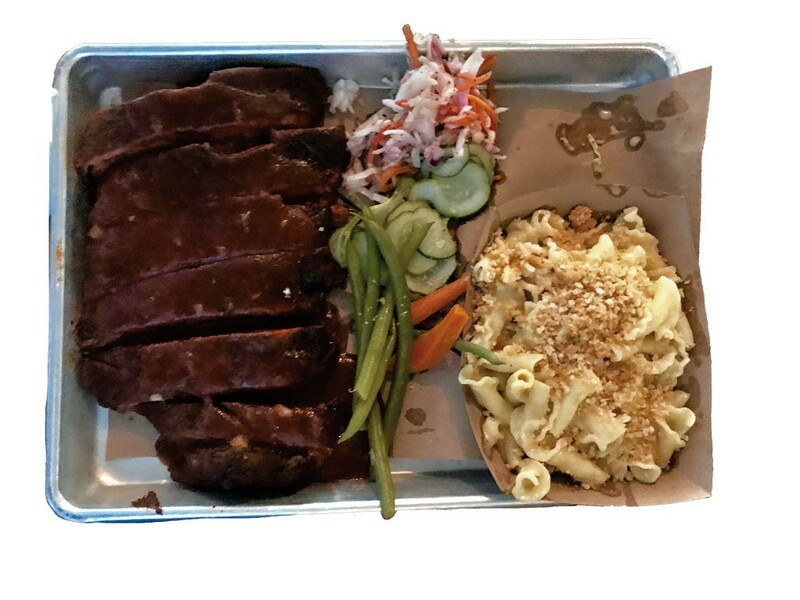 The $20 meal included pickled vegetables (beans, carrots, cukes), coleslaw, and mac and cheese. 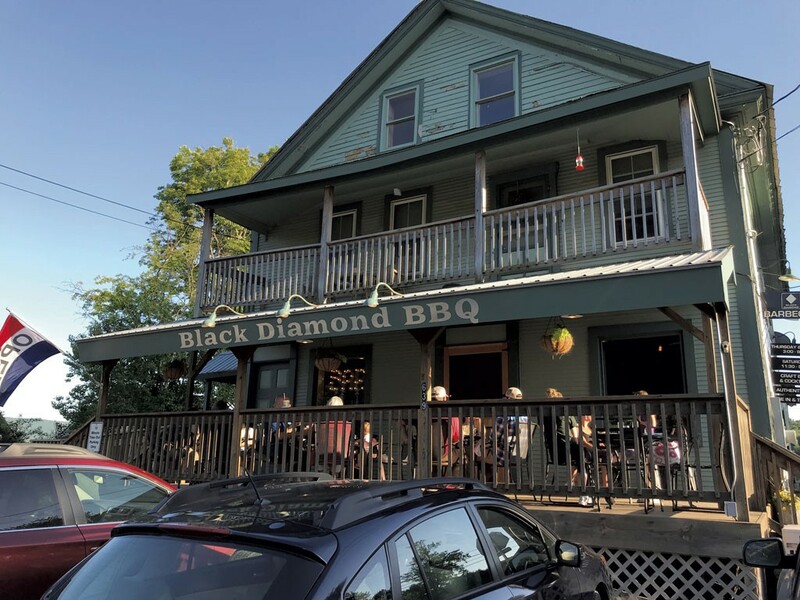 Black Diamond began as a catering business in owner Jason Pacioni's Stowe apartment 14 years ago, before he moved it to his house in Elmore. In the fall of 2016, Pacioni relocated the operation to a 19th-century clapboard building in Morristown Corner, and he added his restaurant. Chef-partner Brad Goulette runs the catering biz; Aaron Martin, former chef at Plate in Stowe, is the restaurant chef. Pacioni told me he started Black Diamond in lieu of his original plan: putting on a few pig roasts a year and peddling barbecue in the parking lot of Phish shows. He calls himself the "pit boss." "I hate the word 'chef'," he said, adding that "cook" is acceptable. Pit boss worked for me. The smoked meat we had at Black Diamond called for a return trip, when I plan to eat 16-hour wood-smoked brisket. In fact, the whole town requires a second food run — if only to quiet the argument posed by Krux. He wondered how I could eat for a day in Morristown and pass over Lost Nation Brewing. I mounted my best defense: "Well," I told him, "I've eaten at the brewery and written, glowingly, about it more than once." "I'm good friends with those guys," he said. "A homie's got to stay with his homies." I got the feeling Morristown rocks a hometown crowd. The original print version of this article was headlined "Homie Made"